The global healthcare landscape has undergone many changes in recent years, and the convergence of artificial intelligence, computer-aided surgery, wireless communication, mobile health apps and wearables has already impacted all actors across the ecosystem. Applications are enabling doctors to make better informed clinical decisions, whilst monitoring systems are empowering patients to effectively monitor and manage their health. These technologies undoubtedly have the potential to drive better patient outcomes. The Asia Pacific MedTech Forum 2018 aims to bring together all key healthcare stakeholders, from medical device manufacturers to healthcare providers, startups and SMEs to address how these forces provide unparalleled opportunities in solving unmet needs in Asia Pacific; home to over half the world’s population. 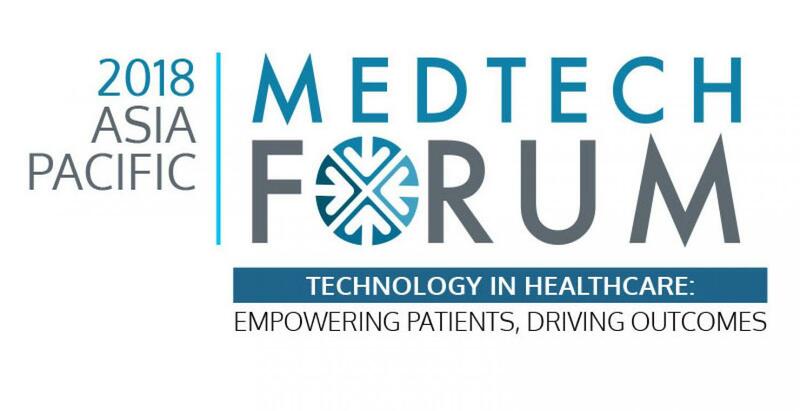 Regional regulators, policy makers, payers, government representatives, and clinicians will also be taking part in the Forum discussions, in order to shed light on the role of technology in shaping the future of healthcare and driving better patient outcomes. Registrations are open for a highly charged Forum of curated education sessions, demos, exhibits and networking. The Forum opens its doors to discussions with leading experts and thought leaders, stay up-to-date with the most recent trends, network with the region leaders, spark business partnerships, or discover the latest product innovations. Find out more about the programme and lineup of speakers. Presented by Asia Pacific Medical Technology Association (APACMed), their aspirations aim to improve access to high-quality healthcare through collaboration among all stakeholders to ensure that patients in the region have access to the most innovative, life-changing healthcare products and services. Visit the Asia Pacific MedTech Forum 2018 website to learn more.